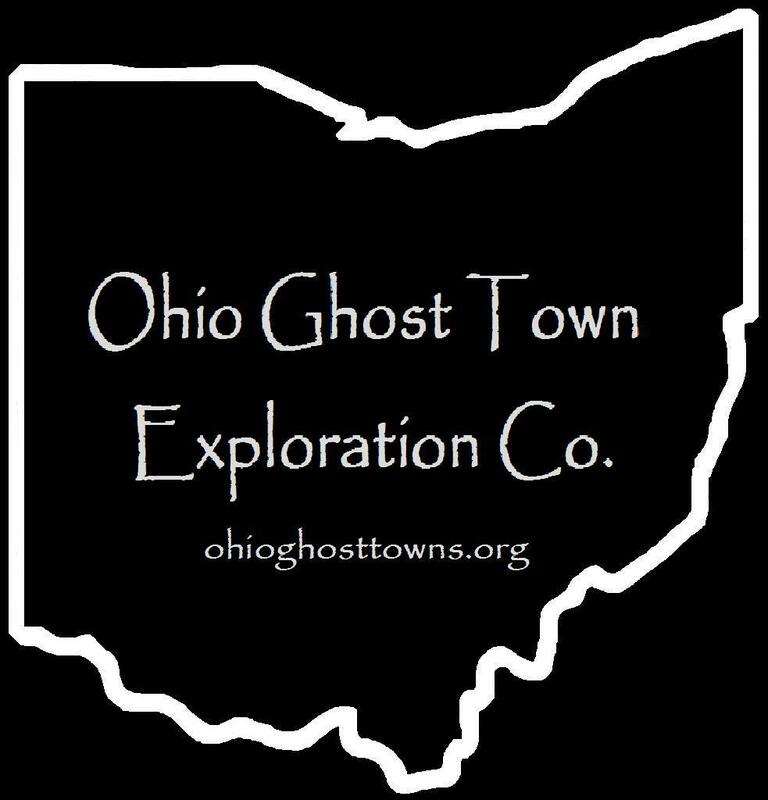 Paulding County – Ohio Ghost Town Exploration Co. Description: This small farming town had a school & church. Civil War veteran John Cooper (1838 – 1888) & Catherine (Reidel) Cooper (1842 – 1923) were of German descent & met & married in Marion County before moving to Paulding in 1873. They had a nice farm, a few children, & donated the land for the cemetery on SR 500 where they were buried with relatives. Description: The town was founded by General Horatio Curtis (1802 – 1874). He named the town after Oliver Crane who was another early settler & also had the township named after him. Horatio built a trading post in 1825, was the first county clerk & recorder, a surveyor, Freemason, & justice of the peace. A wood addition to the brick house & trading post that was built in 1826, & has since been demolished, was reportedly haunted by former residents. Horatio also platted Antwerp in 1841 & was buried there with relatives in Riverside Cemetery on Island St. Description: It was named after canal boat captain Samuel Doyle Sr. who ran mail from Cincinnati to Toledo & was a pickup point for timber. Description: The town was platted in 1860 by Samuel Shisler (1793 – 1870) & Mary (Bollinger) Shisler (1794 – 1874) & named after their daughter Arettie. It couldn’t keep up with Oakwood, which had a train station on the Nickel Plate Road. Although Ettiesburg was never completely abandoned, it lost its status as a town. The Shislers were buried with relatives in Prairie Chapel Cemetery. Description: It was founded by War Of 1812 veteran Thomas Wentworth & Rachel (Townsend) Wentworth who were both born in Maine in 1791 & moved to Ohio in the late 1830s. They were the first settlers in the township, had a large family, & Thomas was a county commissioner, judge, & justice of the peace. Description: The town was founded by Andrew Follmer. It had a school & was on the Cincinnati Northern Railroad. Description: Its proprietor Philander Gilbert (1813 – 1887) was born in New York & moved to Ohio in the mid 1860s. He reconstructed a saw & grist mill that was purchased in Franklin County & was a justice of the peace & postmaster. Philander had several children with 3 wives & was buried with relatives in Middle Creek Cemetery. Description: Giauque was originally called Goodwin & had a train station on the Nickel Plate Road. It was renamed by Civil War veteran & lawyer Florien Giauque (1847 – 1921) & Mary (Miller) Giauque (1858 – 1913) who owned the land in the early 1900s. They later moved out of the county & were buried in Spring Grove Cemetery on Spring Grove Ave in Cincinnati. Description: The town was platted in 1848 along the Miami & Erie Canal & named after Mexican War veteran & congressman General Thomas Hamer (1800 – 1846). Description: It was on the Cincinnati, Jackson & Mackinaw Railroad. The propritor & mayor A.B. Holcombe owned a lumber company & barrel hoop shop. Henry Howe traveled through Holcombe in 1886 & noted its existence in his updated version of Historical Collections Of Ohio. Description: Link was a small farming & postal town with a school in the late 1800s to early 1900s. Description: It was originally called Murat & named after French military leader & politician Joachim Murat. In the 1860s John Hipp (1836 – 1907) & Amelia (Burbage) Hipp (1847 – 1916) built a general store & mill near lock 31 on the canal. The town was called Timberville in the late 1800s & served as a shipping point for local lumber companies. John & Amelia were buried with relatives in Carlton (Burbage) Cemetery. Description: This early settlement along the Indiana border had hopes of getting a canal, but the Wabash & Erie bypassed it & the town disappeared. Description: It was platted in 1851 by David Shriver & Leonard Kimmel. A guy with the last name Darling put up a sign on an oak tree for his grocery store & post office which read “Royal Oak Grocery”. Description: In 1902 pike bonds were sold at $1,000 each to raise $45,000 for the Nindeville Pike. The road was constructed but the town never grew at all. Description: The town was founded by Caleb Plumb (1808 – 1890) & Eliza Plumb (1811 – 1871) & named after their grocery store sign that was simply marked with a large x. It also had a school & two churches. Caleb & Eliza were buried with relatives in Fought Cemetery. Description: The proprietors were a branch of the Renollet family & descendants of German immigrants Paul Renollet Sr. (1801 – 1875) & Mary (Odon) Renollet (b. 1805). It had store, grain elevator, & a train station on the Wabash Railway. Many of the family members were buried in Renollet Cemetery on private property between T-135 & Town Hwy 139 along Six Mile Creek. Description: The town was founded by Josiah Smiley (1848 – 1934) from Pennsylvania & Martha (Bushong) Smiley (1854 – 1922) who had a large farm & a few children. The town had a train station on the Nickel Plate Road. Josiah & Martha were buried with relatives in Park Cemetery in Fairmount, Indiana. Description: It was platted in 1850 along the Miami Extension Canal by Scottish immigrants & brothers James Mather (b. 1801) & Alexander Mather (1806 – 1876). St. Andrews couldn’t compete with faster growing towns & was abandoned in 1881. The Mather brothers moved to Missouri with relatives. Description: Sunnyside was a small farming town with a school. Description: It was on the Wabash & Erie Canal & named after canal worker Lyle Tate (1820 – 1890) who bought up some land around one of the locks. Captain Robert Reid (1827 – 1875) established the post office & the town had a grocery store & several taverns. The bulkhead of Six Mile Reservoir & 3 locks were destroyed by dynamite in 1887 by a group of 200 local men (mostly farmers) known as the “Dynamiters”. They were tired of continuous floods from the reservoir overflowing after the canal shut down & a bill they proposed to fix the problem failed to pass in the state legislature. They also burned down the former lockmaster’s house at Tate’s landing. By the time law enforcement arrived, the damage was already done & the Dynamiters were long gone. The events were called the Reservoir War & the Dynamiters final task was blowing up the town’s last saloon in 1900. None of them were ever captured or had their identities revealed. Lyle Tate was buried with relatives in Live Oak Cemetery on Emerald Rd in Paulding. Description: The proprietors were Mexican War veteran John Worst (1847 – 1920) & Sarah (Long) Worst (1849 – 1920). They spent most of their lives in Sandusky County where John was a teacher, county clerk, & lawyer, & purchased land for a stave (barrel) mill in Paulding County. The town quickly grew with a train station on the New York, Chicago, & St. Louis Railroad. It also had a general store, church, & school. Worstville stretched north across the railroad on the east side of Co Rd 71 & most of what’s left of the town sits south of the tracks. John & Sarah were buried with relatives in Oakwood Cemetery in Freemont, Sandusky County.